Today I finished up two small units of Canadian Voltigeur. The pic shows both units combined. 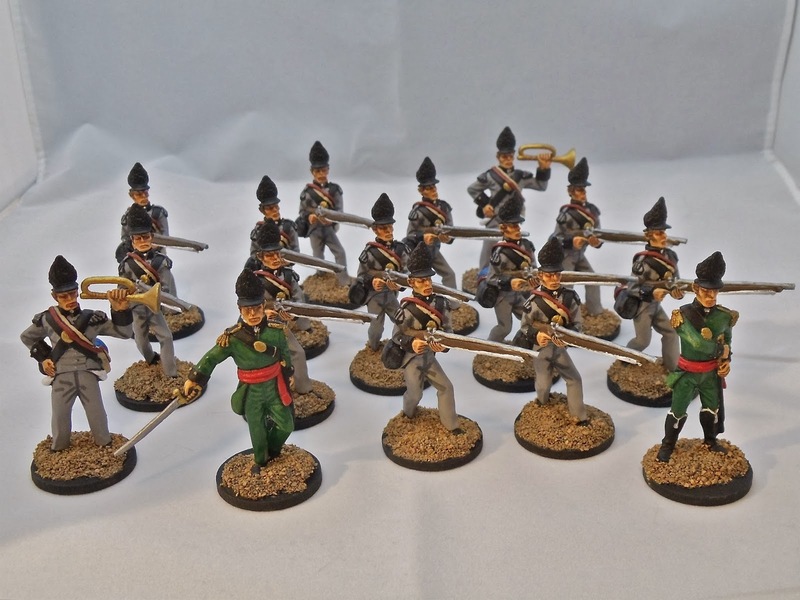 The Voltigeurs were light infantry units raised by Lieutenant Colonel Charles de Salaberry in Lower Canada on the eve of the war and distinguished themselves in battles such as Chateauguay and Chrysler's Farm. Next up will be a pile of Hittites and the next 54mm figures will be a large number of Indians. 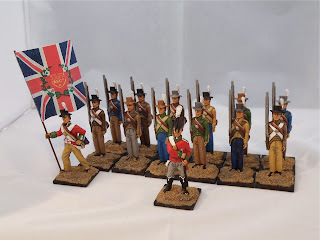 Today I finally finished off some more figures for my War of 1812 project. 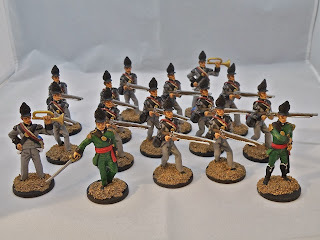 First is a unit of British/Canadian militia. Figures of course are All The King's Men. Realistically you could swap out the British officer and standard bearer with their American counterparts and the unit would be the same. 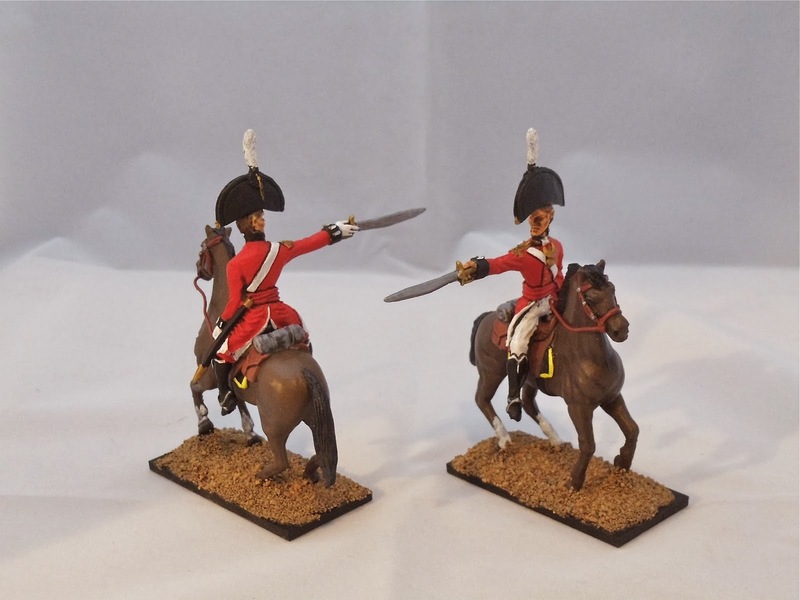 Next is a pair of mounted British generals. I'm still not really satisfied with my pics. Maybe I need a better camera or something. Next up is a pile of Hittites(chariots and heavy infantry) and two small units of Canadian Voltiguers.